Numerocolor is an exciting and educational game from Nathan. The game is about solving tasks where you develop the basic speech understanding. With tiles that vary in color and shape, which are of different characters, sizes and appearances, the children develop amazing skills! Count from 1 to 6. 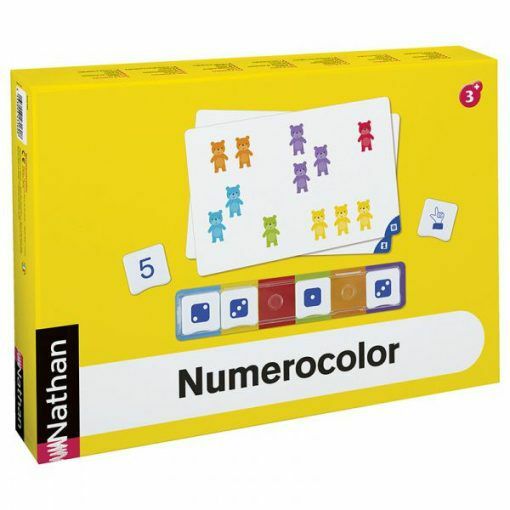 Learn about different ways of understanding counting and numbers. Time, but it is also possible to collaborate and solve the tasks together. Suitable for children aged 3 years or more. 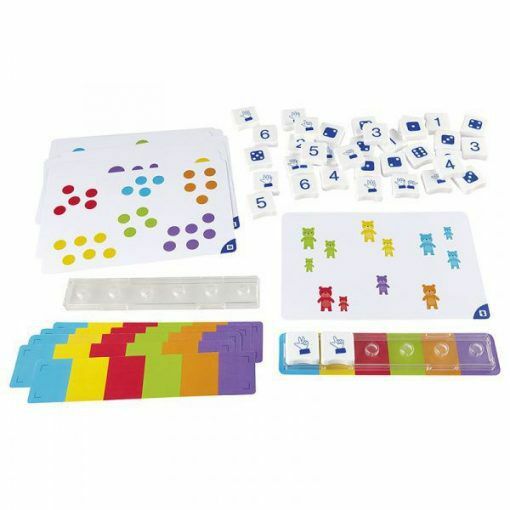 The 25 activity cards are organised in 4 series with 6 increasing degrees of difficulty. 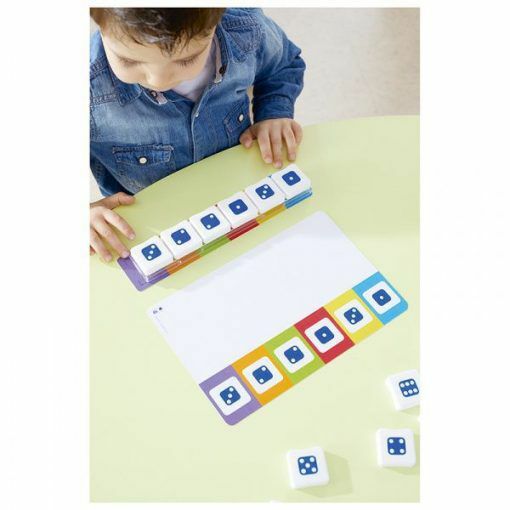 Each task card gradually increases in steps from difficulty 1 to 6. 1 booklet for teachers and pedagogs.